Over the past 15 years, I’ve learned a lot about State Farm claims. Here, I’ll discuss several State Farm car accident settlements. I’m also going to talk about State Farm dog bite and attack claims. We’ll talk about State Farm’s first settlement offer. But I won’t stop there. You’ll hear about soft tissue cases with State Farm. And fractures too. You’ll also see mistakes that people have made when dealing with State Farm. State Farm is a below average paying insurer in personal injury cases. They insure cars, trucks, motorcycles and homes. Below is a video where I talk about State Farm accident claims and settlements. The video is very informative. However, I’ve added settlements to this article since making the video. Thus, this article may have some interesting info that the video may not have. Let’s look at some State Farm car, vehicle and other accident settlements. While the settlements get smaller as the article progresses, the verdicts increase further down in the article. What is the Average State Farm Car Accident Settlement? Most State Farm car accident settlements are for much less than $100,000. For one, most car accidents don’t involve serious injuries. And the biggest value driver of a injury case is the injury. What is the second reason most State Farm car accident settlements are for way under $100,000? Because State Farm tends to sell smaller limit insurance policies. Is the Average Soft Tissue Injury Settlement with State Farm Big? Unfortunately, no. State Farm is pretty cheap for paying for pain and suffering associated with soft tissue injuries. The most common soft tissue injuries that I see are neck and back pain. The above image is not the x-ray from this case. However, it does show a distal radius fracture (broken wrist). Another car crashed into a car that a passenger was in. The passenger was hurt. An open fracture is when the broken bone breaks your skin. Distal radius fracture means “broken wrist”. Open distal radius and distal ulnar fractures. Lacerations to her FDS tendon, and FDP on her index finger. Irrigation and debridement of the volar wrist wound. Primary repair of FDS tendon to index finger in zone 5. Open reduction and internal fixation (ORIF) of the distal radius fracture. The driver of the other car got a ticket for failure to yield the right of way. The careless driver had minimal bodily injury liability (BIL) insurance limits. State Farm was the passenger’s underinsured motorist (UM) insurer. The passenger hired me as her personal injury lawyer. The careless driver’s insurer paid its policy limits. State Farm’s first settlement offer was for $80,000. I told State Farm that I wouldn’t accept less than the UM limits. Thereafter, State Farm paid me the UM insurance limits. The total settlement was for the $135,000 settlement. My client had uninsured motorist insurance with State Farm. Why was the settlement for $135,000? Because she had surgery. Surgery increase the full value of the case. Let’s assume the passenger didn’t have surgery. In that case, the settlement would’ve much been less. State Farm is the only company that I know of whose insurance card shows if the driver has uninsured motorist insurance coverage. State Farm uses the symbol “U” for stacking uninsured motorist coverage. Here is the back of the State Farm card that shows the coverage that each letter represents. U3 is nonstacked uninsured motorist insurance coverage. The accident happened in Hialeah, Miami-Dade County, Florida. I represented the passenger. State Farm insured the careless driver with $100,000 in bodily injury liability (BIL) insurance limits. They offered the $100,000 limits. Here is the settlement check. He was very happy with his settlement. So was I. Watch Keith talk about his injury and the settlement. You can also read more about Keith’s $100,000 car accident settlement. A man was employed as a meter reader. While at a customer’s house in Fort Lauderdale, Broward County, Florida, he was given permission to go into the backyard to read the meter. The owner’s Pit Bull (dog) bit him. He had some minor nerve damage in his arm along with a scar. He was doing well after he finished his medical treatment. My client and I were lucky. Why? Because the State Farm homeowners policy did not have an exclusion for dog bites. Moreover, it didn’t have a sublimit for dog bites. Let’s assume the homeowners policy would have had a sublimit for dog bites. For example, a sublimit of $25,000. In that scenario, State Farm would only have offered $25,000 to settle this case. What if the State Farm policy would have had an exclusion in its policy for dog bites? In that case, State Farm would have paid nothing. Zilch. Nada. 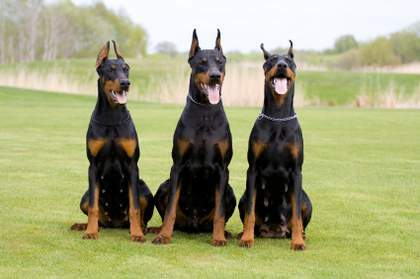 Learn more about dog bite settlements. A man was living in another state in the Northeast United States. He worked as a police officer. He traveled to Medley, Miami-Dade County, Florida. His reason for being in Miami was for work. Another car crashed into the back of his car. In other words, he was an out of state visitor who was hurt in a Florida car accident. The other driver got a ticket for following too closely. He claimed that the crash caused or aggravated a bulging disc in his lower back. A doctor gave the claimant epidural steroid injections to his lower back. His doctor said he was a candidate for a back surgery (lumbar laminectomy). He did not have back surgery. State Farm insured the other driver with the $10,000 in bodily injury liability (BIL) insurance. They paid $10,000 to settle the personal injury case. Travelers insured his personal car with uninsured motorist coverage. They paid $47,000 to settle. His workers compensation insurer paid over $17,000 in indemnity (lost wages) and medical benefits. Front end damage to car that my client was in. On July 30, 2018, Shankeva was a passenger in her boyfriend’s car. A photo of the car (after the crash) is above. Another driver (vehicle 1) hit another car (vehicle 2) head-on. Vehicle 2 then struck the car that Shankeva was in. Shankeva suffered an acetabular fracture. An acetabular fracture is a break in the socket portion of the “ball-and-socket” hip joint. I’ve had many hip fracture settlements. Days after the accident, Shankeva hired me. Within 30 days of the accident, State Farm paid us Shankeva’s boyfriend’s $25,000 uninsured motorist insurance limit. Additionally, the at fault driver’s BIL insurer (Windhaven) paid us $8,000. Windhaven paid her boyfriend $2,000. The most that either Shankeva or her boyfriend could get from Windhaven combined was $10,000. Another driver was killed in the crash. That driver’s family got the remaining $10,000. Therefore, I got Shankeva a $33,000 personal injury settlement. See a case where State Farm paid $25,000 to a passenger with back and other injuries. The car accident happened near Little Havana in Dade County, Florida. See a case where State Farm, Allstate and the owner of the at fault car paid a passenger the $35,000 bodily injury liability insurance limits for a broken wrist (distal radius fracture) with surgery. 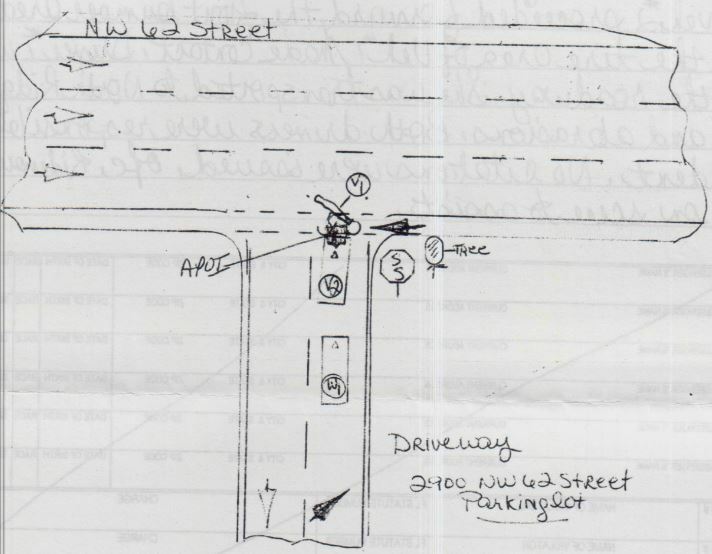 Below is a close up diagram of this intersection accident. A middle-aged man, was hit by a car while riding his bike in Miami. He suffered a tibial plateau fracture which healed perfectly. The doctor said that he healed perfectly. He did not need any more treatment. Personal Injury Protection (PIP) paid $10,000 to my client’s medical doctors for his medical bills. In Florida, in most car accident cases, the first $10,000 of your medical bills is paid through PIP. As you can see from this settlement, you may still be able to make a claim against a third-party for pain and suffering, medical bills and lost wages. It is important to understand how to get your medical bills paid if you are injured in a car accident in Florida. State Farm insured the driver. The State Farm adjuster said that they believed the bike rider was 30% responsible for causing the accident. Thus, State Farm was only willing to pay 70% of the claim’s full value. She suffered sustained lacerations (cuts) to her chin, and required several staples in her abdomen. She was left with small scars. The police officer didn’t give anyone a ticket. He stated that the bike rider, and the other driver were both at fault. I settled the case with State Farm for $17,500. A lady in her early 20’s was driving her car. Another driver rear ended her. A photos of the cars after the crash is above. She claimed the crash caused or aggravated her two cervical herniated discs. “Cervical” means the neck. Here is an MRI of her neck, which shows the herniated discs. State Farm and Liberty Mutual insured the negligent driver and car owner, respectively. Liberty Mutual settled for $10,000. State Farm paid $7,000. The total settlement was for $17,000. In Florida, a car owner is liable for a permissive driver’s negligence. On February 11, 2018, Jarvis was driving his car in Sunrise, Florida. A driver was driving a stolen vehicle. He crashed into Jarvis’ car. Jarvis hired me as his attorney. In the accident, Jarvis’ arm hit the steering wheel. He had soft tissue injuries to his arm. He had a little cut. It ended up as two very small scars. The other driver wasn’t insured. Fortunately, State Farm insured Jarvis with uninsured motorist insurance. State Farm gave us a lowball offer. However, through intense negotiation, State Farm paid $15,000 to settle Jarvis’ injury case. Awesome team, very knowledgeable, easy to get into contact with, and will keep you updated throughout the entire process. 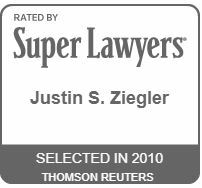 I’m a satisfied client and I highly recommend them for your legal matters. See why State Farm paid $10,000 to settle this claim. The injured driver claimed the crash caused a face bruise, shoulder injury and scars on his body. 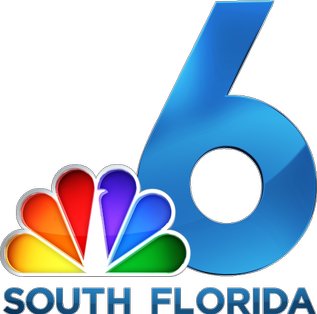 The crash happened in Riviera Beach, Palm Beach County, Florida. I represented the injured driver. A man was driving his car on I-95 in Miami-Dade County. He stopped in the emergency lane. A driver crashed into the back of his car. State Farm insured the careless driver. My client’s injuries included back pain and a big gash to his eyelid. He treated at the Anne Bates Leach eye center, Jackson Memorial Hospital, and Bascon Palmer in Miami, Florida. State Farm paid its insured’s BIL insurance limits of $10,000. Unfortunately, the driver and owner of the car that rear ended my client were underinsured. Our client did not have underinsured motorist insurance, which would have resulted in a much larger payout for the client. Olga was driving a car (vehicle 2 in the diagram) heading north on Interstate 95 (I-95). She was driving in the first lane from the left shoulder of the road. The driver of Vehicle 6 stopped in the roadway after he ran out of gas. The driver of Vehicle 3 and Vehicle 4 stopped for Vehicle 6. Juan, the driver of Vehicle 1, attempted to change lanes to avoid hitting vehicle 3. However, vehicle 1 went directly into the path of Olga. Olga then collided into the rear of vehicle 1 with her car’s right front. The motorcycle driver attempted to pass between Olga and vehicle 3. This caused a sideswipe collision with the right side of Olga’s car. After the collision, the motorcyclist continued traveling northbound and collided into the rear of vehicle 4. This caused both the driver and passenger to fly off the motorcycle. All the vehicles were removed from their final rest upon the reporting officer’s arrival with the assistance of the road rangers. Vehicle 6 vehicle was not involved in the accident. Juan received a ticket for improper change of lane, and pulling out in front of a vehicle. Florida Statute 316.085(2). Carlos, the driver of vehicle 5, got a ticket for careless driving. His vehicle was uninsured. The driver of vehicle 6 was charged with improper stopping/standing/parking. He was issued a citation pursuant to Florida Statute 316.1945(1)(a). Olga suffered injuries to her back, neck and knees. She received therapy for her spine and injections of Kenalog 40 mg 1cc plus Lidocaine 1% 2cc to her knees. State Farm insured the driver of vehicle 1. We settled with State Farm for $8,000. Hertz Car Rental owned vehicle 6. We settled with Hertz Car Rental for $2,000. The total settlement was for $10,000. I represented the injured driver. I knew her from before the accident. However, when she initially called me to see if I could represent her, she mentioned that a criminal defense attorney, Aubrey Webb gave her my number. Thus, with the client’s (and the other attorney’s) consent, I listed him as co-counsel on our fee contract. He received 25% of our attorney’s fee. Actual crash diagramRobert was driving a vehicle. Robert failed to stop and crashed into a 2012 Volkswagen Passat. The Volkswagen was pushed into Agustin’s Jeep Wrangler. Here is a photo of the damage to the Volkswagen. State Farm insured Robert. The officer investigating the scene of the crash cited the State Farm insured for careless driving. After the impact Agustin’s right knee became bruised and swollen. Initially, he thought the symptoms would go away on its own. However, as days went on, his symptoms became increasingly worse. He felt a burning sensation, numbness, and tingling in his knee, especially when he kneeled down. About 10 days after the accident, Agustin sought care at the emergency room of Doctor’s Hospital. An exam of the knee was positive for tenderness in the lateral collateral ligament. X-rays were ordered to make sure that he didn’t have a fracture. Agustin was referred to an orthopedic surgeon for further diagnosis. Upon release from the hospital he was also advised to apply ice to the knee, to keep it elevated and to avoid any strenuous activities. He was prescribed Naproxen 500 mg tablets for his pain. We sent his hospital records and bill to State Farm. Agustin hired a Miami personal injury lawyer (me) after the accident. I made a claim with State Farm. Agustin received treatment for his knee injury. Unfortunately, his orthopedic doctor’s (Dr. Kalbac) medical records were not very helpful for the case. At the end of his treatment, his primary complaint was some numbness on his thigh above his knee. He did not have surgery. His total medical bills were about $9,000. Travelers insured Agustin’s car. Since he treated within 14 days of the accident, Travelers PIP insurance paid 80% of the reasonable value of his medical bills. The State Farm bodily injury adjuster told me that her insured driver disputed liability for the crash. Therefore, she said that she was only accepting 50% liability for the claim. This means that her offer was for 50% of the full value of the case. Additionally, State Farm argued that the accident couldn’t have caused my client’s meniscus tear. In fact, State Farm hired it’s own doctor review my client’s medical records. He thought that we put a lot of work into his personal injury claim. State Farm paid an injured passenger $7,000 to settle his personal injury claims from a minor impact car accident. The passenger didn’t take an ambulance to the hospital. He claimed that the accident caused or aggravated pain in his neck, back and other soft tissue injuries. He had a prior car accident not too long before this accident. We wanted to request a client’s past medical records. We then could have seen if this was a new herniated disc. Our client didn’t want me to do this. Thus, we accepted State Farm’s top offer of $7,000. The crash happened in Miami, Florida. This isn’t my case. In State Farm Mutual Automobile Insurance Company v. Harmon, Fla: Dist. Court of Appeals, 5th Dist. 2018, Brenda Harmon sued State Farm. She sued for underinsured motorist benefits following her collision with an underinsured driver. The driver who caused the crash didn’t have enough insurance to pay for Harmon’s injuries. State Farm admitted that the fault driver was negligent. However, State Farm argued that the accident didn’t cause Harmon’s injuries. Specifically, State Farm argued that the accident did not cause her 2015 cervical fusion surgery. Again, “cervical” means neck. The rod in the image above is a type of rod that is inserted during a cervical fusion surgery. State Farm also argued that the damages were smaller than Harmon claimed. At the time of trial, Harmon was expected to live another 18 years. State Farm appealed the case. The appeals court agreed with all parts of the verdict, except for the jury’s award of $100,000 for future medical expenses. Ms. Harmon presented the testimony of her treating physician, Dr. Frank R. Collier, M.D. to lay a foundation for an award of future medical expenses. Dr. Collier testified that Ms. Harmon would need certain care in the future, such as routine follow-up visits with her doctors on a schedule approximating the one she followed post-accident. Dr. Collier agreed with Ms. Harmon’s counsel that his prior billing could reflect the cost of those probable future visits. Additionally, Dr. Collier testified that Ms. Harmon may need different modalities of treatment in the future that might include trigger point injections, which might possibly be of benefit along with other treatments that might be indicated in the future. Again, Dr. Collier agreed with Ms. Harmon’s counsel that a review of his past medical bills, totaling $35,947, could define the costs of those possible treatments that may occur in the future. The bad news for Ms. Harmon? Florida law restricts recovery of future medical expenses to those expenses ‘reasonably certain’ to be incurred. The appeals court said that there wasn’t an evidentiary basis for those potential future medical expenses. The injured person should ask the doctor to state, in writing, if he or she is reasonably certain to need the future medical treatment. The appeals court said that the jury’s award for future care is not OK because, other than routine follow up visits, Dr. Collier offered no specific or general dollar amount and provided no reliable means by which the jury could calculate the cost of that potential additional future medical care. How can you try to increase the case value? Ask the doctor to write a report, which states a specific or general dollar amount and allows a jury to calculate the cost of the additional future medical care. The doctor should state the frequency or specific type of treatments that you’ll need. The appeals court said that there was evidence that Ms. Harmon would probably need future care, specifically routine follow-up office visits. However, there wasn’t enough evidence to support an award of $100,000 for future medical expenses. This isn’t my case. On December 1, 2012, Jaime Pena was a pedestrian near Cagan Crossing Blvd and U.S. 27 in Polk County, Florida. Ronald Radig was driving a motor vehicle, and collided into Pena. State Farm insured Radig. Pena sued Radig. He claimed that Radig failed to maintain a proper lookout and control his vehicle. Pena underwent lumbar epidural steroid injections (“LESI”) on August 24, 2015, and October 22, 2015. (Lumbar means lower back). State Farm’s insured admitted liability. Pena claimed that he suffered neck, back and knee injuries including neck surgery, which was performed on May 10, 2017, by Nizam Razack, M.D. However, Radig’s attorney claimed that this case involved a low-speed pedestrian and vehicle accident where there was no major trauma at the scene. Radig’s lawyer hired a biomechanical expert, Dr. Gushue, Ph.D. His purposes was to testify that the force and mechanism of injury from the crash wasn’t enough to cause Pena’s injuries. The case went to trial. On September 27, 2017, a jury awarded Pena medical expenses of $79,215 in the past and $135,000 in the future. They also awarded him $7,500 in past lost wages. 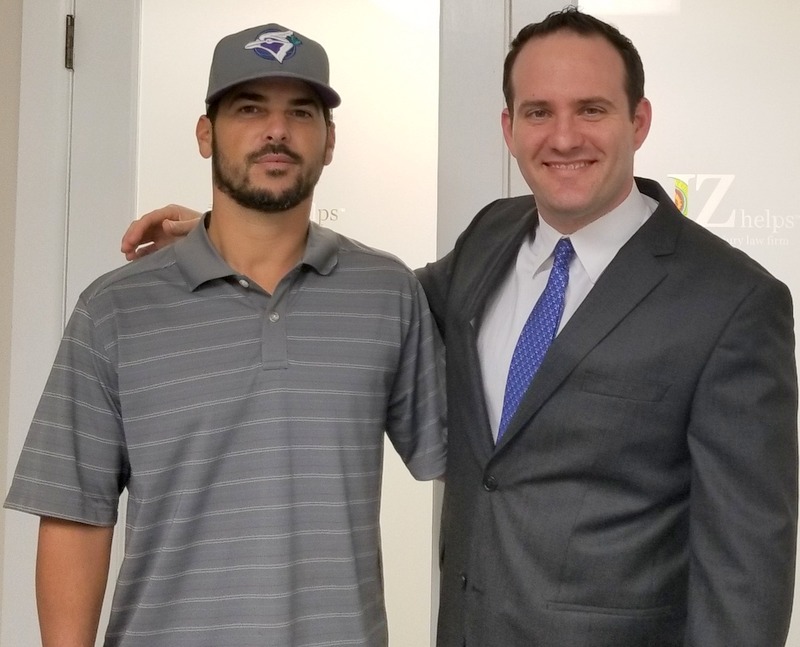 Since Pena was a Florida resident pedestrian who was hit by a car that had PIP, he needed a permanent injury in order to get compensation for pain and suffering. The jury found that he sustained a permanent injury within a reasonable degree of medical probability. The jury awarded Pena $150,000 for past pain and suffering, disability, physical impairment, disfigurement, mental anguish, inconvenience, aggravation of a physical defect and loss of capacity for the enjoyment of life. They also gave him $450,000 for future pain and suffering. This isn’t my case. A car crash victim won a $211,000 verdict against State Farm for injuries to his ankle, back and neck injuries. On June 14, 2013, the appeals court decided the case. This isn’t my case. Keith O’Brien’s daughter, Meghan, was killed in a 2004 automobile accident. I don’t know how old Meghan was. On the date of his daughter’s death, O’Brien was a named insured on four State Farm automobile policies. Within three months of the accident, State Farm gave checks for $400,000, the full amount of uninsured motorist coverage under the (stacked) automobile policies. When a child is killed in an accident, the full value of a parent’s claim for mental pain and suffering is often very large. O’Brien sued State Farm claiming that he was also entitled to uninsured motorist insurance through his umbrella policy. Unfortunately, O’Brien rejected uninsured motorist coverage on his umbrella insurance policy with State Farm in 1992. However, his attorney claimed that State Farm failed, in several ways, to comply with Florida’s uninsured motorist insurance statute (law). State Farm denied UM coverage on the umbrella policy. The appeals court agreed that he had no uninsured motorist coverage under his State Farm personal liability umbrella policy. This isn’t my case. Maria Valle died at age 33 as a result of an auto collision caused by Hood while he was intoxicated. Mirna Valle, was Maria’s sister and personal representative of the estate of Maria Valle. Mirna sued on behalf of Maria’s mom since the mom was a survivor under Florida’s wrongful death law. She sued in Miami-Dade County, Florida. I assume that Maria wasn’t married at the time of her death. If Maria was married, her mom wouldn’t have been a survivor under Florida’s wrongful death act. This is because Maria was 33 years old, which is older than age 24. Since the mom was a survivor, she was had a pain and suffering claim. In Florida, you’re not entitled to money for pain and suffering for the death of a sibling. Therefore, Mirna had no claim for her own pain and suffering. Before trial, Hood pled guilty to D.U.I. manslaughter. D.U.I. means driving under the influence of alcohol. Hood was in prison when the case went to trial. Hood was going to appear in court in shackles. Valle’s attorney was concerned that this was part of a tactic to cause the jurors to think that Hood had no money. Thus, Valle’s attorney agreed to drop her punitive damages claim in return for Hood’s attorney agreeing to several things. He was at fault at the time of the accident. Hood’s attorney also agreed to let the jury hear that on the night of the collision in which Valle died, Hood had been in two other accidents before that collision. The jury awarded a total of $3.8 million for the mom’s pain and suffering. The breakdown was $2 million for past pain and suffering from the date of the accident through trial. $1.8 million was awarded for the mother’s pain and suffering for the rest of her life. Drunk driving accident cases are usually worth more because the jury is typically angry at the drunk driver. Thus, they usually award more money for pain and suffering. State Farm insured the drunk driver, Hood. He only had $10,000 in bodily injury liability (BIL) coverage on his car insurance policy. The personal representative was also awarded $24,707.79 in case costs. State Farm had to pay the $10,000 BIL insurance limits and the $24,707.79 case costs. The case is Hood v. Valle, 979 So. 2d 961 – Fla: Dist. Court of Appeals, 3rd Dist. 2008. Valle then sued State Farm Mutual Automobile Insurance Company for acting in bad faith. I didn’t read the bad faith lawsuit. However, I assume that it was based on an alleged claim that State Farm waited to long to pay the $10,000 BIL limits. Alternatively, it may have been based on an alleged claim that Valle requested reasonable settlement release language, and State Farm didn’t agree. Both of those situations may lead to a bad faith against State Farm. A bad faith case would turn this case into a collectible million dollar case against State Farm. However, the court dismissed the bad faith case because Valle failed to move the case along. The bad faith case is Valle vs State Farm Mutual Automobile Insurance Company (2008-035809-CA-01). This is not my case. Daniel Stakem and his wife were Florida residents. He was operating his motorcycle in another state (Tennessee) with his wife Carol riding along as a passenger. Kimberly Randolph was driving an automobile traveling in the opposite direction. Ms. Randolph made a left turn in front of the Stakems’ motorcycle, causing a collision. The motorcycle impacted the right rear quarter panel of Ms. Randolph’s vehicle. The Stakems were thrown from the motorcycle. The arbitrator said that Mr. Stakem had abrasions to his elbow but his physical injuries were limited compared to his wife’s injuries. He heard her crying and he could see her lying in the right lane of the highway some 10 to 15 feet from him. She was lying on her right side, her eyes were closed and blood was streaming out of one of her ears. He also said that she was “wiggling.” I assume that she had a serious head and brain injury. The careless driver’s liability insurer paid Mr. and Ms. Stakem both $25,000, and they signed releases. Mrs. Stakem also received two $100,000 payments, for a total of $200,000, representing the full policy limits available to her through her two Florida policies of uninsured motorist (UM) coverage with her uninsured/underinsured motorist insurance carrier, State Farm. The Tennessee court said that a Floridian, who is hurt in another state, always needs a permanent injury in order to get money for pain and suffering from a Florida UM policy if the Florida UM policy requires a permanent injury. The Tennessee court said that even though Mr. Stakem was on a motorcycle, the permanent injury requirement applied to a Florida motorcyclist in his UM claim against a Florida UM policy. The UM policy required the permanent injury. This was a federal trial court in Tennessee. Stakem v. Randolph,431 F.Supp.2d 782 (E.D.Tenn.2006). The insured needs to read the language of the UM policy to see if this threshold language is in the policy. He wouldn’t have need a permanent injury if his UM policy didn’t require it. This is not my case. In 2010, fifteen-year-old Sol Baldassini was driving a four-wheel electric vehicle in Key Biscayne, Florida. Sol was driving a 2009 E-Z-GO ST Express. To keep it simple, I will call this vehicle a “golf cart”. The vehicle’s owners had left it in the care of the Baldassinis while away on a trip. Sol, the daughter of Veronica and Gabriel, had taken it for a ride. While driving the vehicle Sol accidentally hit Fiallo, pinning him between the golf cart and his truck. Fiallo was seriously injured and brought claims for his injuries against Sol, her parents, and the owners of the golf cart. The owners had insured the golf cart under a State Farm recreational vehicle policy. They submitted a claim with State Farm. State Farm paid Fiallo $100,000. The Baldassinis were borrowing the golf cart. Thus, they did not have a recreational vehicle insurance policy for it. The Baldassinis made a claim under their State Farm automobile policy instead. State Farm denied their claim on the ground that the golf cart involved does not qualify as a car. These vehicles are designed and manufactured for off-road use. They do not conform to Federal Motor Vehicle Safety Standards and are not equipped for operation on public streets. a compliant seatbelt assembly and anchorage system. See 49 C.F.R. § 571. The golf cart had a top speed of 16.5 mph. If it would’ve been modified to exceed 20 miles per hour, the Baldassini’s car insurance policy may have provided coverage. The appeals court agreed with State Farm that the Baldassinis had no coverage under their State Farm auto insurance policy. Fiallo settled his injury case with the Baldassinis. However, he likely settled for less money than he would have if State Farm insured the Baldassinis for the golf cart. This is because insurance companies typically pay better than people without insurance. State Farm Paid One Defense Expert Witness Doctor Over $1.2 Million in 3 Years! Some insurance companies pay an expert witness hundreds of thousands of dollars each year to help defend their cases. I’m talking about payments to one expert witness in one year! State Farm is no exception. Before I give a real case example with State Farm, I wanted to share a video on why insurance company doctor medical exams cause victims to get less money in their claims. Ok. Now let’s focus on a huge amount of money that State Farm paid to one doctor to help defend a case. David Knapp was involved in two automobile wrecks within six months. He got medical treatment following these wrecks. David sued both of the drivers who he claimed caused the accident. He also sued his insurer, State Farm, for payment of uninsured/underinsured motorist benefits and bad faith. State Farm hired Dr. Michael Zeide as an expert witness to address David’s injuries, and the medical care and treatment related to those injuries. According to his website, Dr. Zeide is a general orthopedic surgeon. 601 claims and received $1,235,067.75 in compensation for providing his services. This was State Farm’s best approximation for the years 2013 – 2015. State Farm has paid big money to expert doctor witnesses to defend its cases. Does State Farm Have to Tell You How Much Insurance the Other Driver has? 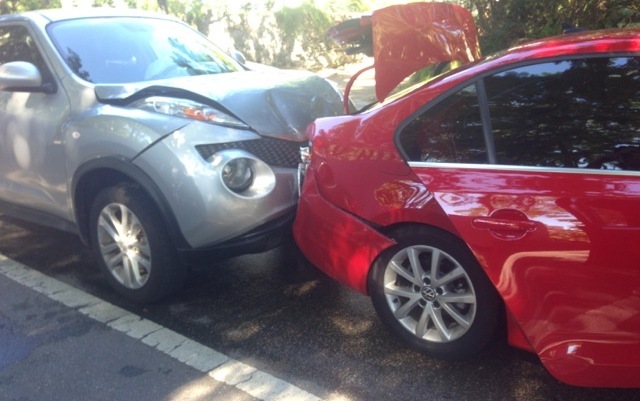 If State Farm insures a Florida car owner, State Farm must tell you how much insurance the careless driver has. Florida Statute 627.4137. However, if you’re hurt in Florida, and State Farm insures a driver who is visiting Florida from another state, then State Farm may not have to tell you the liability limits. It will depend on whether or not the out of state driver’s insurance was issued in a state that requires insurance disclosure. Some states like Louisiana don’t require insurance disclosure. Other states, like Georgia, do. If a Florida resident is injured in an accident outside of Florida, and State Farm insures the careless driver, State Farm may not have to tell you how much insurance the careless driver has. It will depend on the law of the state where the careless driver’s policy was issued. In Hernandez v. State Farm Fire & Casualty Co., 700 So. 2d 451 (Fla. 4th DCA 1997), the trial court allowed an officer who had been at the scene of the accident to testify at trial that Hernandez violated the other driver’s right-of-way. Florida’s Fourth District Court of Appeal (DCA) handles appeals from Palm Beach, Broward, St. Lucie, Martin, Indian River, and Okeechobee Counties. The 4th DCA is located in West Palm Beach, Florida. This isn’t my case. In State Farm Mut. Auto. Ins. Co. v. Pierce, 383 So. 2d 1184 – Fla: Dist. Court of Appeals, 5th Dist. 1980, Mark Giere was driving a car insured by State Farm. Geire hit a pedestrian Sherilyn Pierce. Pierce didn’t own a car, but lived with her husband who owned an uninsured car. Pierce made a claim for PIP benefits against State Farm. State Farm argued that it didn’t owe PIP benefits. They argued that Pierce’s husband owed the PIP benefits because he owned a car that wasn’t insured. The appeals court disagreed. State Farm had to pay Pierce PIP benefits. This case is one of many that shows that State Farm may be dead wrong when they argue that they don’t owe you money. State Farm is slightly better than Progressive, Windhaven and United Auto. State Farm is about the same as Allstate. However, GEICO is better than State Farm. State Farm isn’t as good as USAA. How Do State Farm Cases Compare To Claims with Lyft and Uber? All things equal, State Farm cases will settle for less money than Uber or Lyft accident cases. This is because Uber and Lyft cars will likely have more insurance than drivers who State Farm insures. Here are a couple of other articles I’ve written on State Farm cases. 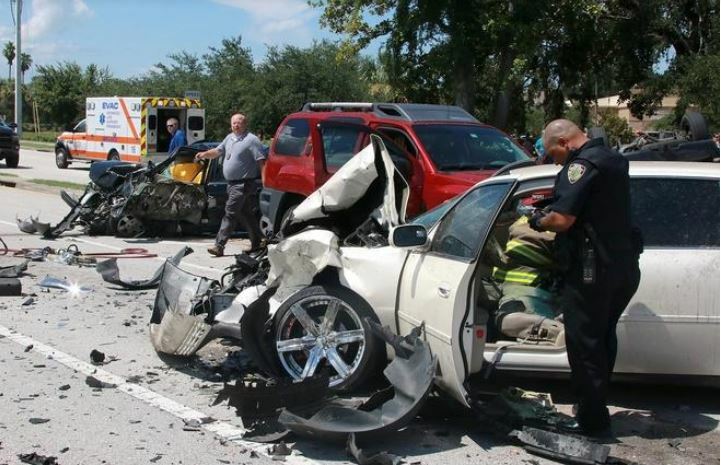 Did someone’s carelessness cause your injury in a Florida car or truck crash? Did a dog bite you? 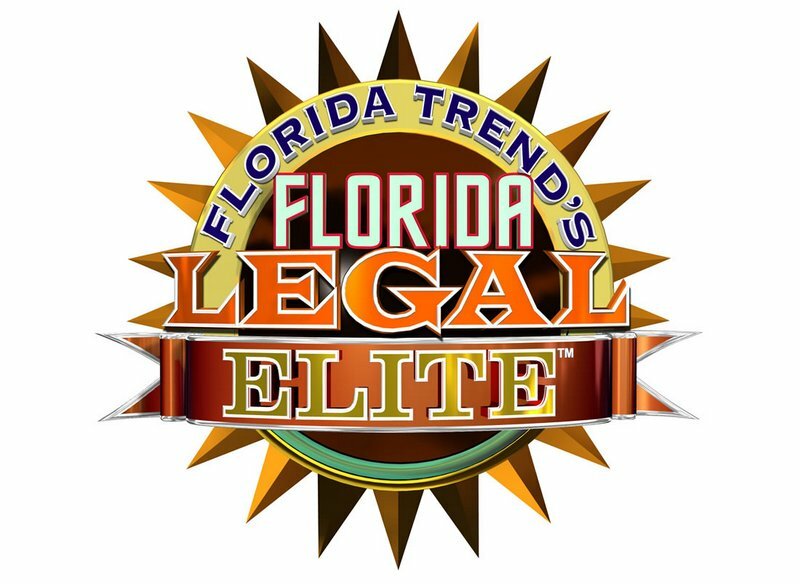 Check out some of the many Florida injury cases that we have settled. Editor’s Note: This post was originally published in 2013 and has been completely revamped and updated. Thanks for the information. I’ve been thinking about switching my insurance provider to State Farm. Would you recommend it? I think it would be such a good idea. Like you said, it would make car accident settlements much easier. Do you have any other tips for me? You are a State Farm agent so you are very familiar with State Farm. From my experience, State Farm pays bodily injury claims better than a few auto insurers some, but is less reasonable than many auto other insurers. If you can afford it, go with Travelers, Chubb, or Crum & Forster. They are more reasonable and the claim is less likely going to need to be litigated.